The day we welcome a child into Angel House orphanage is a bittersweet day, indeed. It means that there is the harsh reality that a child was abandoned, which comes with an immeasurable loss. Yet, there is the joy of knowing that she is now drawn into a safe place that has been prepared for her, a place that is only a precursor to the joy of being a part of a loving family. Bendjina, pronounced "ben-GEE-nah", had been abandoned to St. Damien's hospital last December. She is now 21 months old. Because of her abandonment, there is little known about her. It was noted on a sign by her bed that there was eye "tarnishing" and severe skin irritations caused by a Vitamin A deficiency. She does have a small milky spot over part of her left eye but it is not certain if there is compromised vision at this point. She seemed well-liked by the staff and some even asked to take pictures with her before her departure. Bendjina dozed on the drive from the hospital to the orphanage. Once she arrived, she was warmly received by the nannies as they elbowed each other to check out the new arrival. 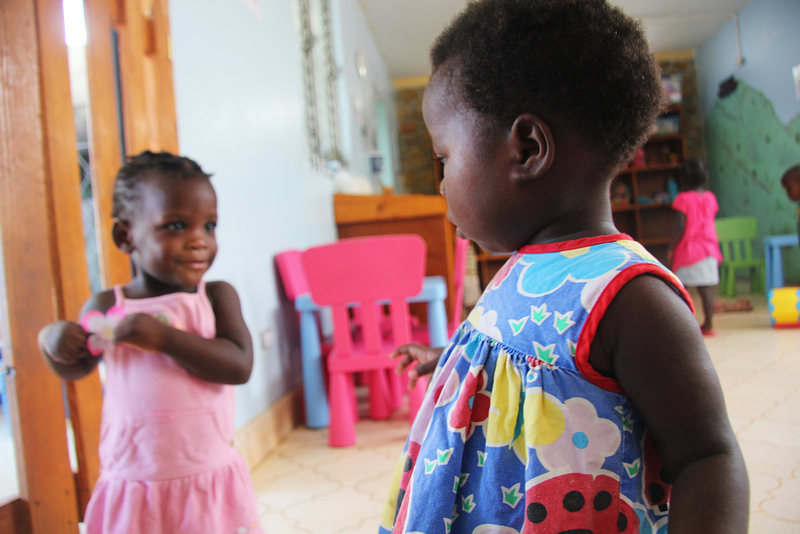 The other children were playing dress-up and dancing at the time and tried to get Bendjina to join right in. She was very reticent and observant. She wasn't quite ready to smile, but her lips hinted at one and she made a few moves to the music. Bendjina stuck close to Natacha, who may win out as her new nanny. 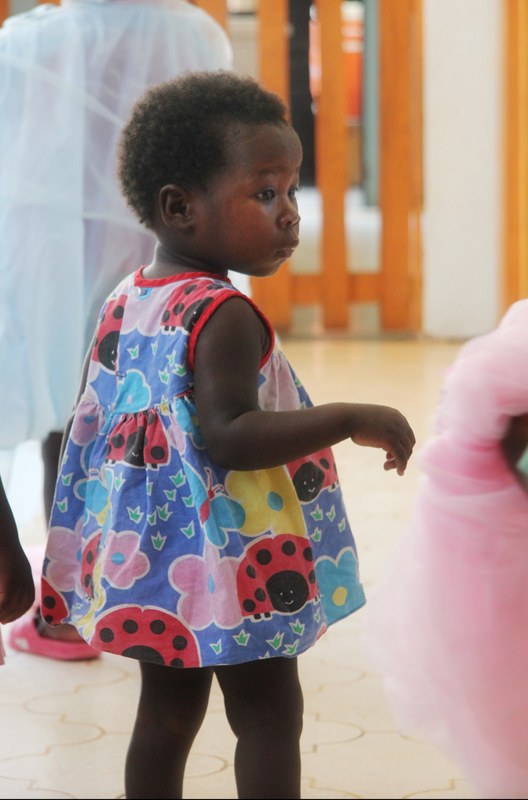 Would you like to share in the privilege of caring for Bendjina? When you sign up to become an Orphan Care Sponsor, you will receive a photo and information card as well as monthly updates on her care. You will have a direct impact on her life at Angel House and her placement with a forever family. Thank you in advance for welcoming Bendjina.